Kunz M, Hess C, Raumonen P, Bienert A, Hackenberg J, Maas H-G, Härdtle W, Fichtner A, Von Oheimb G (2017). Comparison of wood volume estimates of young trees from terrestrial laser scan data. iForest 10: 451-458. Many analyses in ecology and forestry require wood volume estimates of trees. However, non-destructive measurements are not straightforward because trees are differing in their three-dimensional structures and shapes. In this paper we compared three methods (one voxel-based and two cylinder-based methods) for wood volume calculation of trees from point clouds obtained by terrestrial laser scanning. We analysed a total of 24 young trees, composed of four different species ranging between 1.79 m to 7.96 m in height, comparing the derived volume estimates from the point clouds with xylometric reference volumes for each tree. We found that both voxel- and cylinder-based approaches are able to compute wood volumes with an average accuracy above 90% when compared to reference volumes. The best results were achieved with the voxel-based method (r2 = 0.98). Cylinder-model based methods (r2 = 0.90 and 0.92 respectively) did perform slightly less well but offer valuable additional opportunities to analyse structural parameters for each tree. We found that the error of volume estimates from point clouds are strongly species-specific. Therefore, species-specific parameter sets for point-cloud based wood volume estimation methods are required for more robust estimates across a number of tree species. Hybrid tree reconstruction from inhomogeneous point clouds. The Visual Computer 30: 763-771. Analysis of geometric primitives in quantitative structure models of tree stems. Remote Sensing 7: 4581-4603. Creating vegetation density profiles for a diverse range of ecological habitats using terrestrial laser scanning. Methods in Ecology and Evolution 5: 263-272. Structural crown properties of Norway spruce (Picea abies [L.] Karst.) and European beech (Fagus sylvatica [L.]) in mixed versus pure stands revealed by terrestrial laser scanning. Trees 27: 1035-1047. A voxel-based technique to estimate the volume of trees from terrestrial laser scanner data. International Archives of Photogrammetry and Remote Sensing XL- 5: 101-106. Designing forest biodiversity experiments: general considerations illustrated by a new large experiment in subtropical China. Methods in Ecology and Evolution 5: 74-89. CAMPINO - A skeletonization method for point cloud processing. ISPRS Journal of Photogrammetry and Remote Sensing 63: 115-127. SkelTre. The Visual Computer 26: 1283-1300. Nondestructive estimates of above-ground biomass using terrestrial laser scanning. Methods Ecology and Evolution 6: 198-208. An architectural model of trees to estimate forest structural attributes using terrestrial LiDAR. Environmental Modelling and Software 26: 761-777. A fine-scale architectural model of trees to enhance LiDAR-derived measurements of forest canopy structure. Agricultural and Forest Meteorology 166: 72-85. The use of terrestrial LiDAR technology in forest science: application fields, benefits and challenges. Annals of Forest Science 68: 959-974. Pypetree: A tool for reconstructing tree perennial tissues from point clouds. Sensors 14: 4271-4289. A note on two problems in connection with graphs. Numerische Mathematik 1: 269-271. CloudCompare (version 2.5) [GPL software]. EDF R&D, Telecom ParisTech, Web site. FARO Scene 5.0 - User’s Manual. FARO Technologies Inc., Lake Mary, FL, USA. Tamm review: on the strength of evidence when comparing ecosystem functions of mixtures with monocultures. Forest Ecology and Management 356: 41-53. A manual and tutorial for the proper use of an increment borer. Tree-Ring Research 59: 63-79. Highly accurate tree models derived from terrestrial laser scan data: a method description. Forests 5: 1069-1105. SimpleTree - an efficient open source tool to build tree models from TLS Clouds. Forests 6: 4245-4294. Non destructive method for biomass prediction combining TLS derived tree volume and wood density. Forests 6: 1274-1300. Ground-based laser imaging for assessing three-dimensional forest canopy structure. Photogrammetric Engineering and Remote Sensing 72: 1349-1358. Global biomass mapping for an improved understanding of the CO2 balance - the Earth observation mission Carbon-3D. Remote Sensing of the Environment 94: 94-104. Do tree crown structures influence the accuracy of wood volume estimates by terrestrial LiDAR? Forests 6: 3847-3867. Voxel tree modeling for estimating leaf area density and woody material volume using 3-D LIDAR data. ISPRS Annals of Photogrammetry, Remote Sensing and Spatial Information Sciences II-5/W2: 115-120. VecTree - Concepts for 3D modelling of deciduous trees from terrestrial Lidar. Photogrammetrie-Fernerkundung-Geoinformation 3: 241-255. Assessing tree dendrometrics in young regenerating plantations using terrestrial laser scanning. Annals of Forest Science 71: 453-462. Automated stem curve measurement using terrestrial laser scanning. IEEE Transactions on Geosciences and Remote Sensing 52: 1739-1748. Automatic reconstruction of tree skeletal structures from point clouds. ACM Transactions on Graphics 29: 151. Automatic forest inventory parameter determination from terrestrial laser scanner data. International Journal of Remote Sensing 29: 1579-1593. Response of sugar maple (Acer saccharum Marsh.) tree crown structure to competition in pure versus mixed stands. Forest Ecology and Management 374: 20-32. Forest stand inventory based on combined aerial and terrestrial close-range photogrammetry. Forests 7 (8): 165. Generalized allometric volume and biomass equations for some tree species in Europe. European Journal of Forest Research 126: 157-166. On the geometry and allometry of big-buttressed trees - a challenge for forest monitoring: new insights from 3D-modeling with terrestrial laser scanning. iForest 8: 574-581. An all-solid-state optical range camera for 3D real-time imaging with subcentimeter depth resolution (SwissRanger™). SPIE Proceedings Series 5249 (65): 534-545. Manual for building tree volume and biomass allometric equations: from field measurement to prediction. Food and Agriculture Organization of the United Nations (FAO): Rome, Italy; Centre de Coopération Internationale en Recherche Agronomique pour le Développement (CIRAD), Montpellier, France, pp. 215. Forest dynamics, growth and yield. Springer, Berlin, Heidelberg, Germany, pp. 664. Canopy space filling and tree crown morphology in mixed-species stands compared with monocultures. Forest Ecology and Management 327: 251-264. R: a language and environment for statistical computing. R Foundation for Statistical Computing, Vienna Austria. URL. Fast automatic precision tree models from terrestrial laser scanner data. Remote Sensing 5: 491-520. Massive-scale tree modelling from TLS data. ISPRS Annals of Photogrammetry, Remote Sensing and Spatial Information Sciences II-3/W4: 189-196. 3D is here: Point Cloud Library (PCL). In. Proceedings of the “IEEE International Conference on Robotics and Automation (ICRA)”. Shangai (China) 9-13 May 2011. IEEE Xplore Digital Library, pp. 1-4. Exploring the functional significance of forest diversity: a new long-term experiment with temperate tree species (BIOTREE). Perspectives in Plant Ecology, Evolution and Systematics 9: 53-70.
Review of ground-based methods to measure the distribution of biomass in forest canopies. Annals of Forest Science 68: 225-244. 3D-laser scanning: a non-destructive method for studying above-ground biomass and growth of juvenile trees. Agricultural and Forest Meteorology 151: 1305-1311. 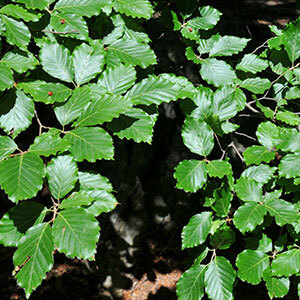 Relationship between tree growth and physical dimensions of Fagus sylvatica crowns assessed from terrestrial laser scanning. iForest 8: 735-742. Terrestrial laser scanning as a tool for assessing tree growth. iForest 10 (1): 172-179. Three-dimensional reconstruction of stems for assessment of taper, sweep and lean based on laser scanning of standing trees. Scandinavian Journal of Forest Research 19: 571-581. A structure-aware global optimization method for reconstructing 3-D tree models from terrestrial laser scanning data. IEEE Transactions on Geoscience and Remote Sensing 52: 5653-5669. Knowledge and heuristic-based modeling of laser-scanned trees. ACM Transactions on Graphics (TOG) 26: 19.